Dr. Rex Hsei is a board certified comprehensive ophthalmologist who specializes in the medical and surgical management of various eye conditions. Dr. Hsei graduated from the University of California, Los Angeles and Hahnemann University Medical School in Philadelphia, Pennsylvania. He continued his specialty training at Temple University Hospital, in Philadelphia, where he was also selected to be the Chief Resident. 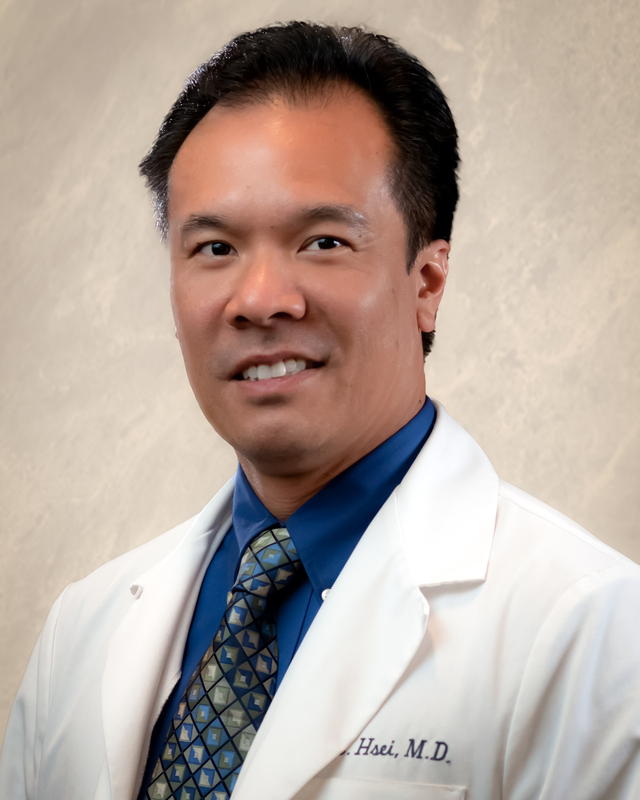 Dr. Hsei has admitting and surgical privileges at Dominican and Watsonville Hospitals, is Chairman of the Department of Ophthalmology at Dominican Hospital, and has served as the medical director of Cypress Outpatient Surgical Center. He is or has been a member of many professional societies including the American Medical Association, the American Academy of Ophthalmology, the Pennsylvania Academy of Ophthalmology, and the American Society of Cataract and Refractive Surgery. Dr. Hsei has been heralded by the community and local press for volunteering his expertise and successfully performing eye surgery on an impoverished child from Mexico. Dr. Hsei is happy to reside in the Santa Cruz area with his wonderful wife, Judith and three children, Luke, Andrew and Lauren. His goal is to serve the Santa Cruz community and surrounding areas with caring and comprehensive eye care.